Today is the 17th May 2011 and this is F1Minute. 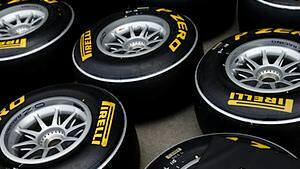 It is the Spanish Grand Prix this weekend, and Pirelli have today confirmed they will be bringing a new hard compound to Barcelona. The tyre suppliers have always been open to tweaking the compounds if necessary, and were prepared for this change. The tyre was taken to Turkey and tested out during Friday practice and Pirelli liked the results. They admitted after the Turkish race that a four stop strategy was not the ideal, that they’d prefer three stops to be a more manageable solution - and that’s what they’re expecting in Spain.